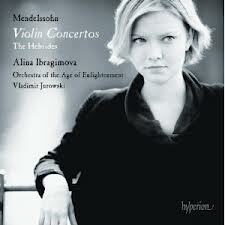 This album showcases the brilliant young violinist Alina Ibragimova, who excels as a performer on both modern and period instruments and here shines as soloist on Mendelssohn’s two violin concertos and the Hebrides overture, accompanied by the always-excellent Orchestra of the Age of Enlightenment. Those expecting a thin or tepid sound from a period-instrument ensemble will be happily surprised by this group’s rich and lustrous tone; similarly, the orchestra’s light touch may help bring listeners to this repertoire who (like myself, I confess) are generally put off by Romantic fulsomeness and bombast. This is a brilliant recording all around. It took five years of work before Lisa Smirnova felt ready to record Händel’s fiendishly difficult “London” suites. The result is a truly lovely recording, one that stays true to the composer’s stylistic vision–one that blends French, Italian, and German influences–while at the same time taking full advantage of the expressive possibilities offered by the modern pianoforte. Smirnova’s touch is confident and authoritative (and especially impressively so on the fugue sections), but never insensitive or overbearing. Very, very nice. 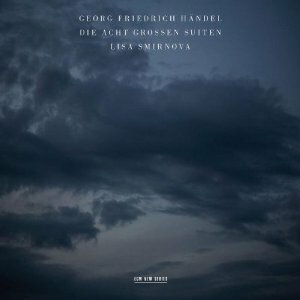 One could easily argue that the world doesn’t need yet another recording of this, one of Schubert’s most popular song cycles. 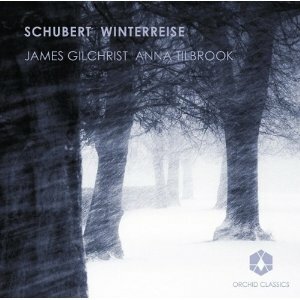 But James Gilchrist’s tenor voice is such a thing of wonderful loveliness, and Anna Tilbrook’s accompaniment is so telepathically perfect, that it’s hard to imagine any Schubert lover taking exception to this recording. The repertoire may be potboiler material, but the performance isn’t. Never heard of Antonio Cartellieri? 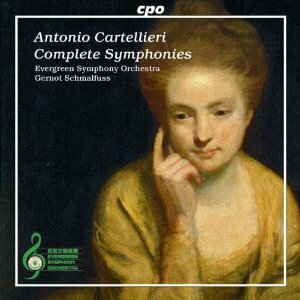 Nor had I, and until recent research by Gernot Schmalfuss and his colleagues, almost no one knew that Cartellieri had written more than two symphonies. Those two pieces are recorded here for the first time, along with the two previously known works, and they’re a delightful example of the late-classical symphonic form, beautifully performed by the Evergreen Symphony Orchestra under the baton of one of the men responsible for bringing these forgetten gems to light. An essential addition to any classical collection. By the time these three composers were writing lute music for Frederick the Great’s court in Bayreuth, the wave of German mania for French culture had crested and begun to recede, in favor of a more cantabile style–more restrained, more serious, less frou-frou. 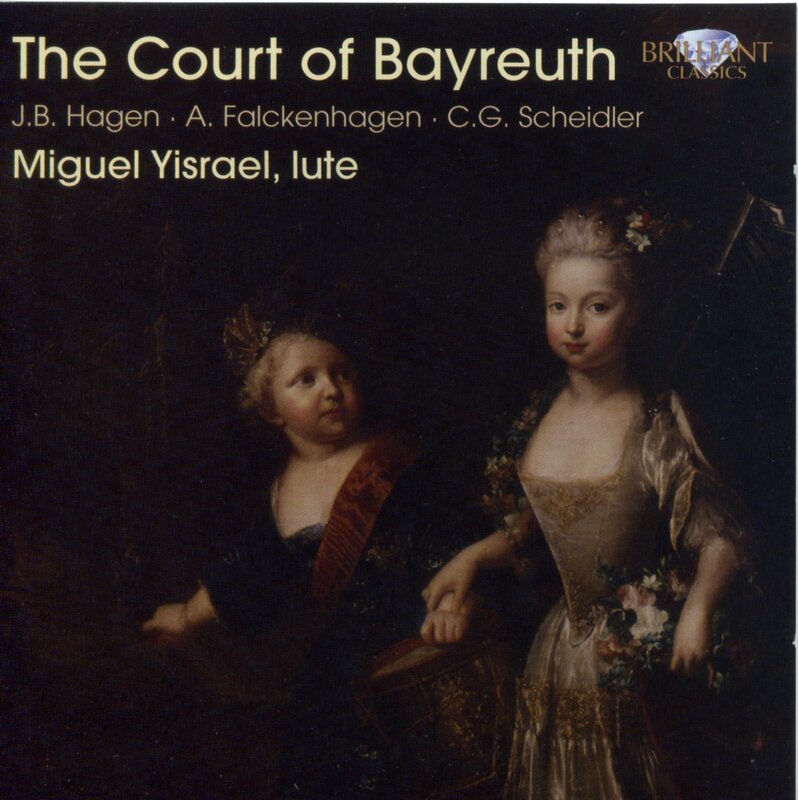 Miguel Yisrael is a highly distinguished player and a brilliant interpreter of these relatively rarely-heard pieces, which include a set of variations on a theme from Mozart’s Don Giovanni as well as four sonatas by the top-billed composers. In all ways excellent. You want grand? Le Concert Spirituel will give you grand–as well as hushed and reverential, and sweetly rhapsodic. 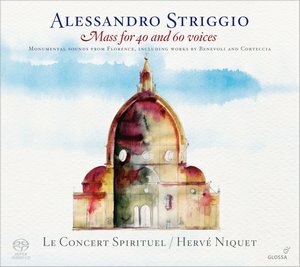 The occasion for doing so is this excellent recording of Allessandro Striggio’s astonishing Mass for 40 and 60 voices, which is offered here as the centerpiece of a recreation of a service for the feast day of St. John the Baptist in 16th-century Florence. Fans of Gabrieli and Monteverdi will find much to love here, and both the choir and orchestra sound wonderful. This is a generally overlooked piece by a generally overlooked composer, one of the true giants of the Franco-Flemish school but one whose name has never garnered the same reverence as those of Josquin and Dufay. This particular Mass is characterized by a number of startling choices (including an Agnus section scored for three basses), and the program is augmented by several lovely motets. The cover image is a charming visual pun. 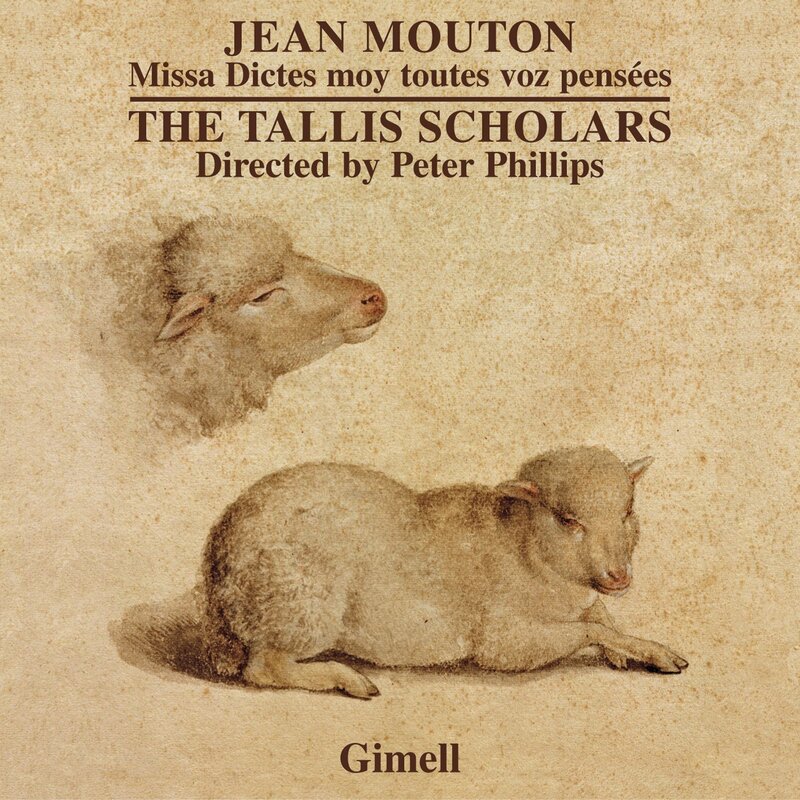 Any new recording by the Tallis Scholars is an automatic must-have for any early music collection, but this one is particularly special. 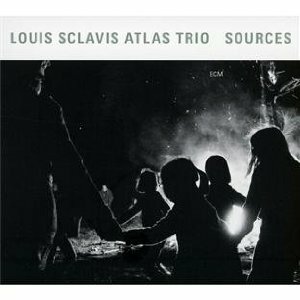 By turns quiet, spiky, free, and tightly structured, this trio session led by clarinetist Louis Sclavis offers jazz only in the sense that there aren’t any better musical descriptors for what they’re doing. 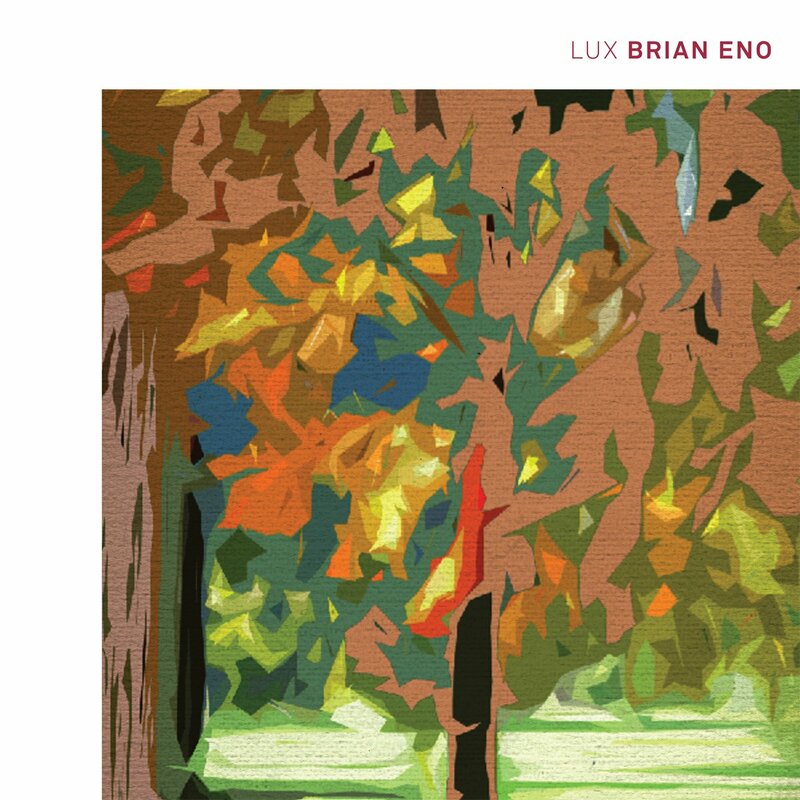 “La Disparition” is almost boppish in its carefully-controlled complexity, while “A Road to Karaganda” is no less structured but has a more rockish feel (thanks largely to Gilles Coronado’s heavily distorted electric guitar) and “A Migrant’s Day” features microscopic synthesizer beats (courtesy of keyboardist Benajmin Moussav) and a vague, meandering melody. It’s all pretty cool and should be of interest to larger jazz collections. It’s not good form to dwell on a young musician’s age, but for crying out loud–this kid, an ace B3 player if I’ve ever heard one, is 16. And not only is he a top-notch organist, but he’s a seriously talented composer as well. Abetted on his debut album by guitarist Derek Dicenzo and drummer Reggie Jackson, he takes the listener on a joyful romp through funk and soul classics like “Dock of the Bay” and Herbie Hancock’s “Cantaloupe Island,” a bop standard (“Donna Lee”) and Coelho’s own excellent tribute to organ legend Jimmy McGriff (“McJimmy”). Not since Joey DeFrancesco burst onto the scene at about the same age has such a young organist made such an exciting debut. 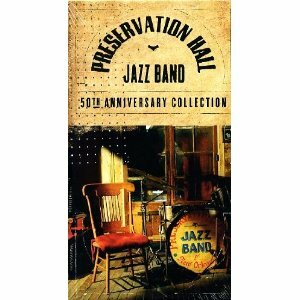 This box set celebrated five decades of music-making in a space that had once been an art gallery on St. Peter’s Street in New Orleans, but in 1961 was turned into a showcase for traditional jazz. Some of the material here is previously unreleased, some was transferred from tapes nearly destroyed by Hurricane Katrina, and some of it is previously-issued material featuring guest artists as diverse as Pete Seeger, the Del McCoury Band, and Angélique Kidjo. The result may be a bit programmatically incoherent, but it’s hugely enjoyable and the photos and liner notes are a treasure. This box should find a place in every library collection. If you’re a certain kind of jazz lover, the four names listed above will tell you all you need to know about this album. 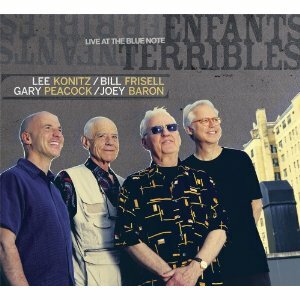 Saxophonist Lee Konitz is a legend about whom little need be said; Bill Frisell is one of the world’s most interesting and open-hearted guitarists; Gary Peacock is a bassist of peerless intuition; and there is no more sensitive or tasteful drummer in the world than Joey Baron. Here the four present a live program of familiar standards played in deeply unfamiliar and at times almost abstract arrangements. Sometimes challenging but always deeply rewarding, this album is a must for any serious jazz collection. 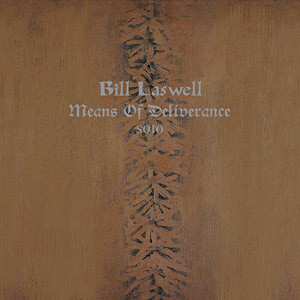 Bassist and producer Bill Laswell can always be counted on to come up with something he’s never done before, which is pretty impressive when you consider what a wide range of things he’s done over the course of a wildly peripatetic career spanning several decades. His latest unprecedented project is an album of tracks for unaccompanied acoustic bass guitar. As one might expect, it’s strange and thoroughly lovely; sometimes he multitracks and sometimes he adds subtle effects, but for the most part his bass is left to stand alone with only his compositional and improvisational skill to hold your attention. One especially nice track features vocals from Laswell’s wife, the Ethiopian-born Gigi Shibabaw. Very highly recommended. 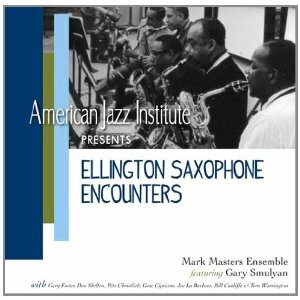 For this thoroughly enjoyable album, an all-star ensemble of saxophonists (abbetted by a top-notch piano trio) plays a program of tunes written by sax players from the ranks of Duke Ellington’s orchestra–compositions by the likes of Johnny Hodges, Ben Webster, Harry Carney, and Paul Gonsalvez. Mark Masters has written excellent new arrangements, and the performances are just as good. The group has the power of a big band but the nimble tightness of a combo, and this album should be snapped up by any library supporting a jazz and/or orchestration program. 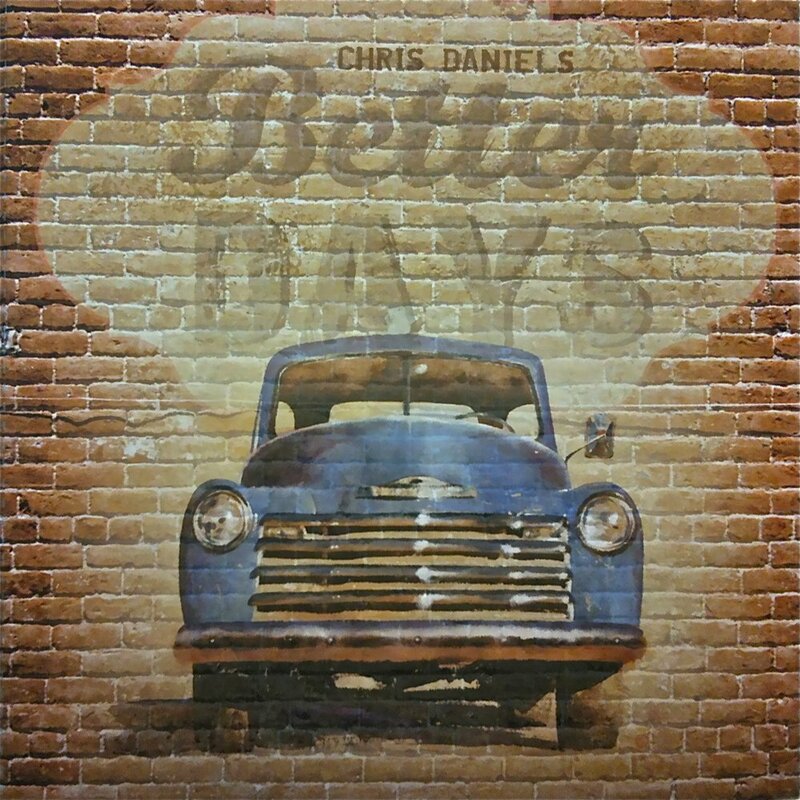 This elaborately-packaged two-disc set celebrates, both directly (with songs like “Better Days” and the rather hilarious “Medical Marijuana”) and indirectly (note the sly title) the artist’s recovery from leukemia as well as his three decades of country and newgrass activity as both a guest artist with the New Grass Revival and on his own. 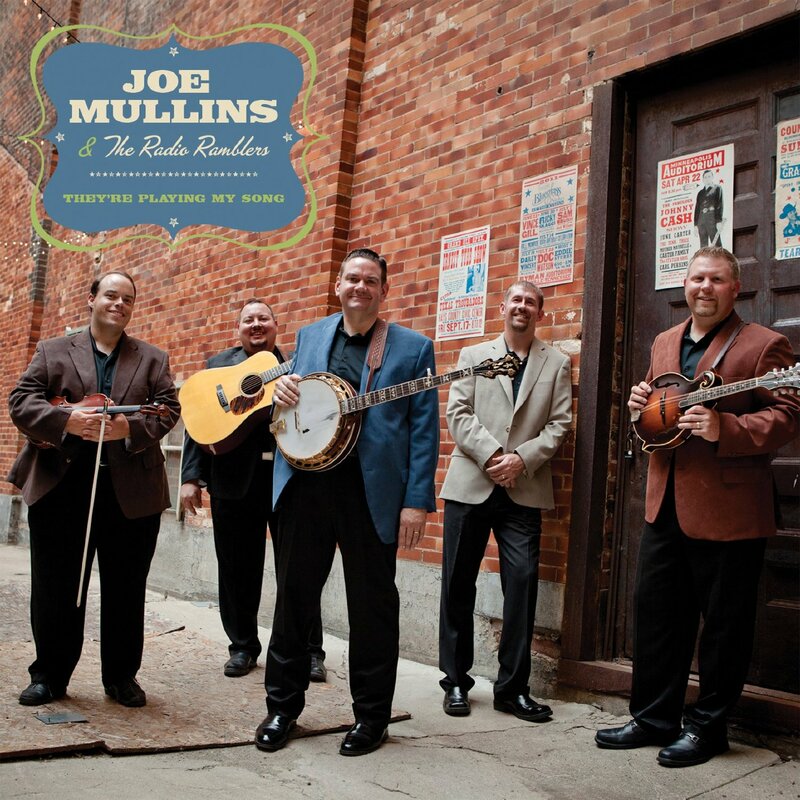 The first disc is a new album of largely acoustic material that ranges from jazzy Tin Pan Alley to modern country singer-songwriter fare; the second offers a short program of previously-unreleased live tracks from the Revival during the days that it featured Béla Fleck on banjo. The whole thing is packaged in a small hardback book. Hand-sell this one to any Parrotheads served by your library. 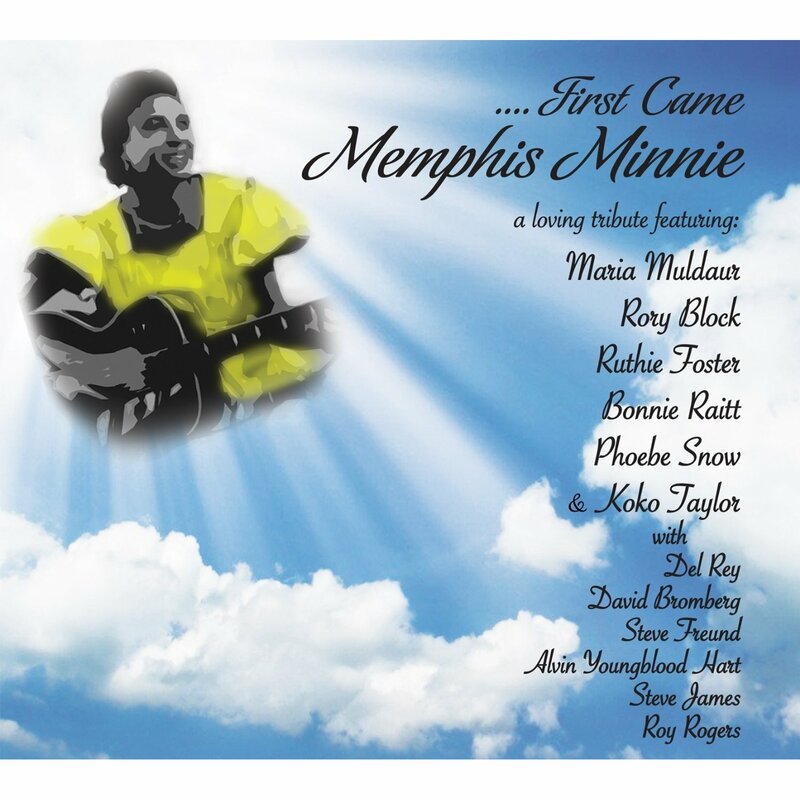 This is the 40th album by blues veteran Maria Muldaur, but it’s also a collaborative labor of love put together in honor of blues legend Memphis Minnie, one of the first musicians to record with an electric guitar. Somewhat ironically, the tracks on this album (some of them new, some of them culled from earlier releases) are predominantly acoustic; featured artists include Rory Block, Bonnie Raitt, Roy Rogers (the slide guitarist, not the cowboy singer), and the late Phoebe Snow–but Muldaur is at the center of things and it’s her rough-edged and expressive voice that consistently steals the show. Highly recommended. 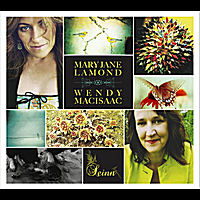 It’s hard to say which is the greater pleasure here: Wendy MacIsaac’s nimble, elegant fiddling or Mary Jane Lemond’s bell-toned singing. Or, for that matter, whether it’s the lovely songs or the invigorating reels. Though both MacIsaac and Lamond are Cape Breton musicians, you’ll hear hints of Québec in the stomping feet and a frequent undertone of modern acoustic pop in their sound–not to mention the brief appearance of bluegrass-style banjo on “If You Were Mine.” All of it is wonderful and this disc should be seriously considered for any folk collection. There has always been something willful about Benjamin Gibbard, whether in his role as frontman for Death Cab for Cutie and the Postal Service or as a solo artist. He enjoys deep hipster cred, but there’s really nothing edgy or challenging about his music: what it challenges, instead, is the assumption that hipster pop music needs to be edgy or challenging. If that makes your head hurt, then you’re worrying too much about hipness. 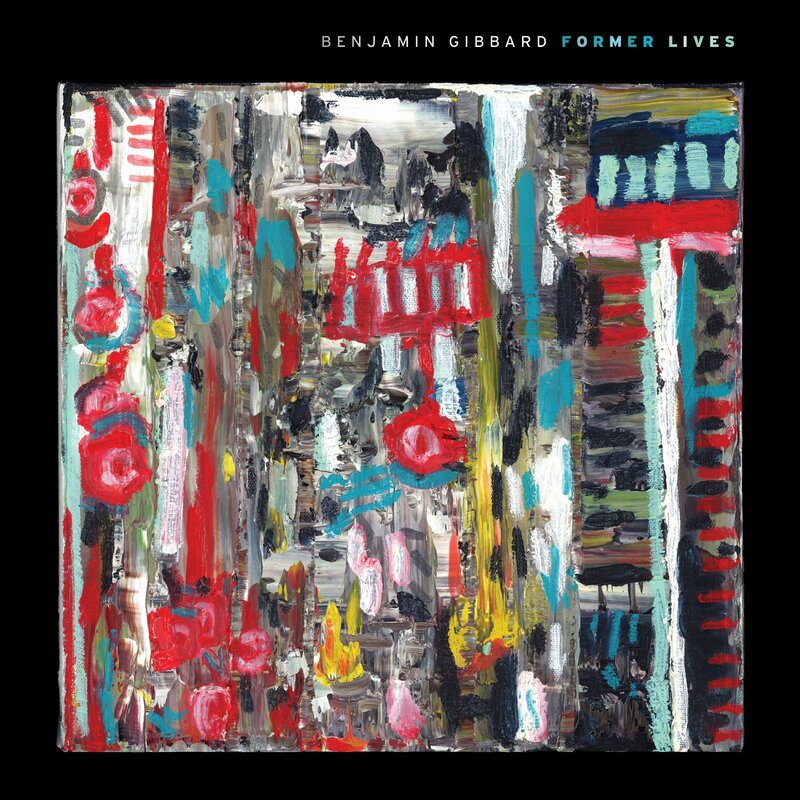 Instead, luxuriate in Gibbard’s effortlessly enjoyable melodies, unapologetically straightforward pop arrangements, and sweet tenor voice. Seriously, it’s okay. Just enjoy. 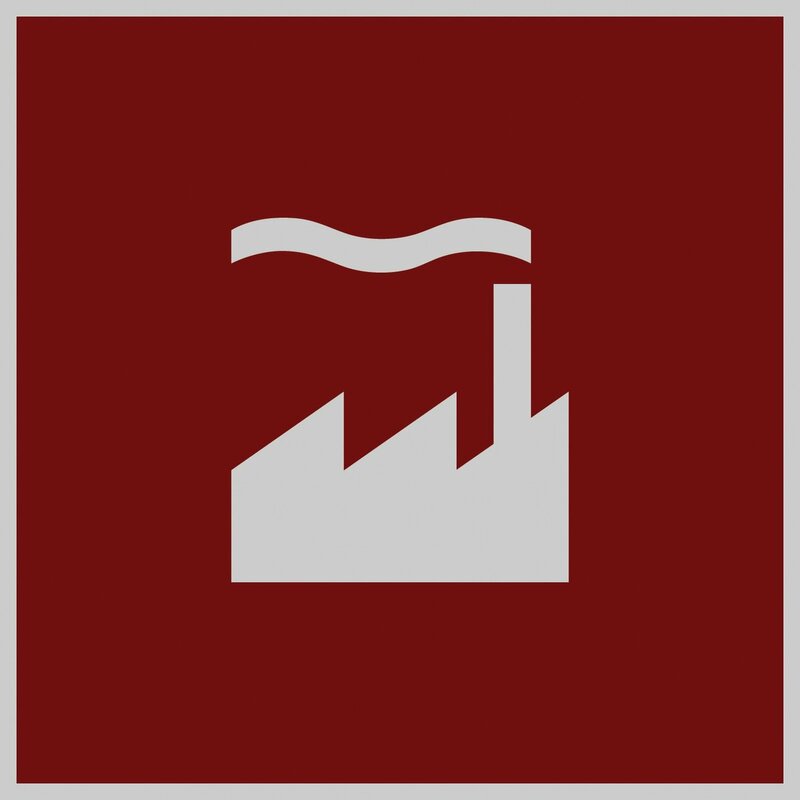 Every so often I just have to indulge my 1980s nostalgia a bit–and the second instalment in the Strut label’s series of extended-mix compilations from the vaults of the legendary Factory label is a great opportunity for doing that. It includes 12″ mixes of singles by such familiar names as A Certain Ratio, The Durutti Column, and Anna Domino, but more importantly it also includes genuine obscurities from the likes of Thick Pigeon and Swamp Children. This may not be an essential purchase for all pop collections, but should definitely find a home in any library that supports the study of postpunk culture. First of all, you need to bear in mind that whenever you hear the word “ambient” used in a musical context, it’s because Brian Eno invented the concept back in the 1970s. Second, if you thought he was done with ambient music and had moved on, it looks like you were (happily) mistaken: these four long tracks revisit the sonic world he first began exploring with his 1975 release Discreet Music, and it’s just as good. The music floats, sparkles, and glows, and it’s unbelievable relaxing and interesting at the same time. Nobody does this kind of thing better, or ever has. When I was a punk-drunk teenager in Boston in 1982, gobbling up everything I could get my hands on from local artists like Proletariat, V;, Dangerous Birds, and Mission of Burma, I looked askance at the Lyres: sure, they were on Burma’s label, but they sounded awfully 1960s to me. That scrawny guitar sound and that cheesy Farfisa organ–ugh. 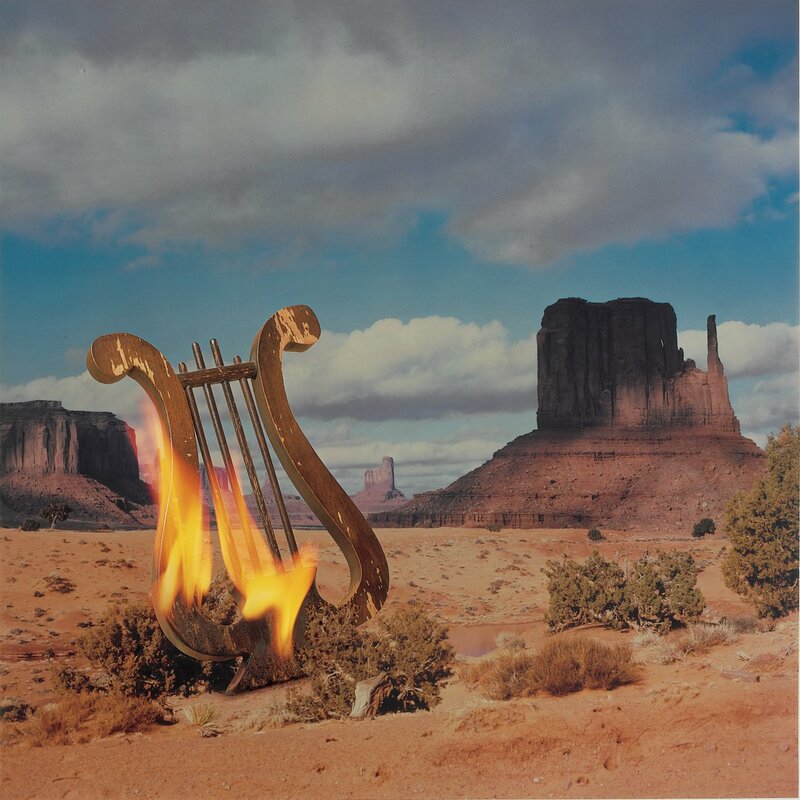 30 years later comes the chance to reasses the Lyres’ debut album in a fine expanded reissue, and I find that I appreciate it quite a bit more. There’s no denying the songcraft, and the scrappy sound seems less like an affectation and more organic. Also, how about that Jeff Connolly? 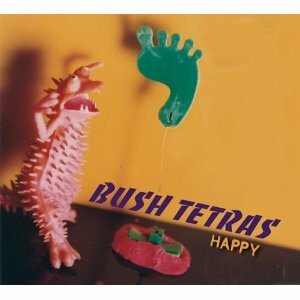 Those who remember the Bush Tetras for their angular, scratchy downtown punk-funk in the early 1980s may be a bit surprised by this album, which was recorded in 1998 and languished in label-dispute purgatory for 14 years before finally being released on ROIR this month. Its twelve tracks go in all kinds of different directions: the straight-up rockishness of “Heart Attack” and “You Don’t Know Me,” the quietly declamatory “Slap,” the surprisingly gentle “Motorhead” (apparently not a tribute to the band of the same name, because Lemmy would never write a song this slow and soft), and the slash-and-kill buzzsaw grit of “Theremin.” Some of it sounds little like the band you remember, but all of it is worth hearing. 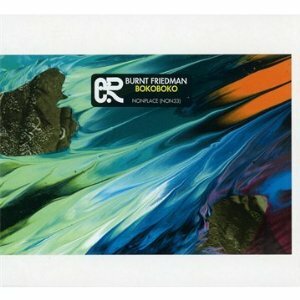 In creating this music for various instruments including homemade percussion, veteran avant-rocker Burnt Friedman aims to “invent music that is extra-territorial, non-national, non-place.” And so he has: the results are vaguely tribal-sounding in their rippling, percussive repetition, but never simple or merely repetitive. You can zone out if you want, or you can pay close attention to the complex interactions of beats and textures (there’s not much in the way of melody). Either way, this album is a very rewarding listen. James Clement, aka ASC, is a member of that particular generation of electro artists for whom beats-per-minute is a defining stylistic issue. 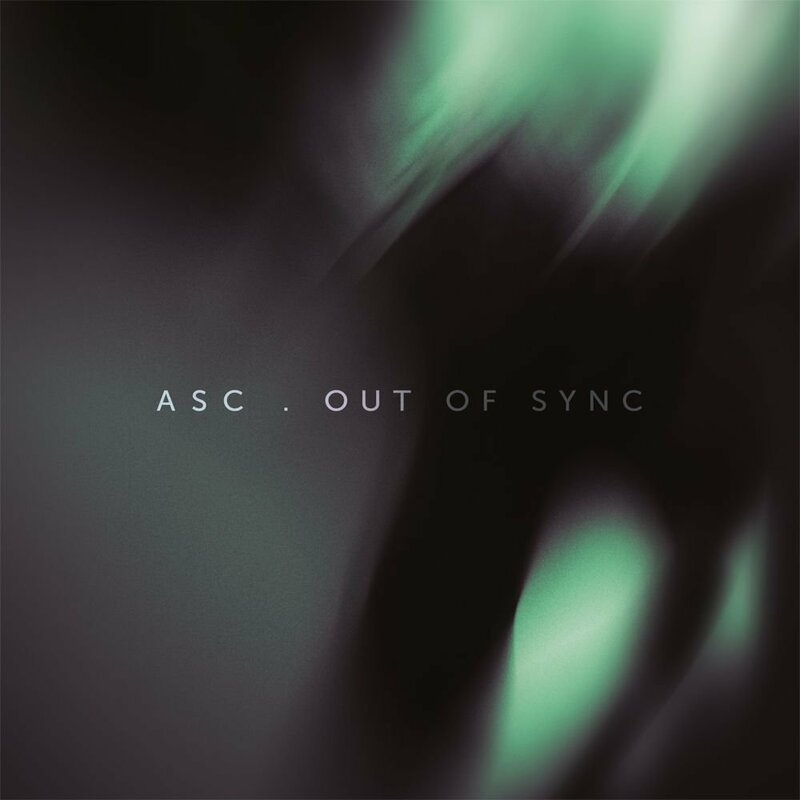 ASC generally functions in the 170 bpm range, and his music is a dark, cool, and sometimes unsettling blend of glitchy microscopic funk (note in particular the very fine-grained “Spheres”), ambient space, and booming, throbbing bass. You’ll hear hints of dubstep and funk and house, but the beats are often slippery and unusual. This disc is a prime example of the ways in which electronic dance music is sliding underneath every boundary placed around it and turning into an art music designed as much for listening as for dancefloor functionality. 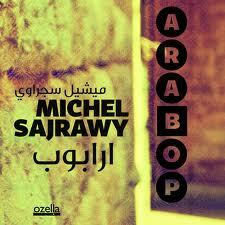 The album title says it all: with this album, guitarist and composer Michel Sajrawy proposes a fusion of Arabic music with straight-ahead jazz, using a distinctive guitar technique he developed himself. Being a lover of both, I came to the album with high hopes, and if they weren’t entirely realized, the album is still very much worth hearing and lays out a fascinating vision for a new strand of cross-cultural jazz. Every listener’s mileage will vary, but I would have liked to hear more disciplined, structured, bop-oriented jazz built on Arabic melodic themes. Instead, Sajrawy keeps his structural and stylistic options very open–sometimes the music sounds like Arabic pop with some jazzy guitar woven into it, and at other times it sounds like straight-ahead jazz with Arabic elements woven in. And in some cases, it sounds like nothing you’ve ever heard before, which is pretty exciting. This is a very good album, and I think it will be interesting to see what shape Sajrawy’s music takes as he continues to develop his ideas. 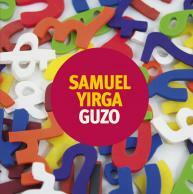 If pianist Samuel Yirga is any indication, they seem to think about jazz quite differently in Ethiopia. It’s not so much about expounding a theme and then taking turns spontaneously creating variations on it; instead, it’s about building a multilayered groove out of initially simple but eventually complex elements. Yirga’s piano playing indicates a deep background in both Anglo and Latin jazz (and two tracks feature vocals by the Creole Choir of Cuba), but just about everything you hear around the piano seems to come from someplace else entirely. It’s quite fascinating and lots of fun. I confess that I approached this album with some trepidation. 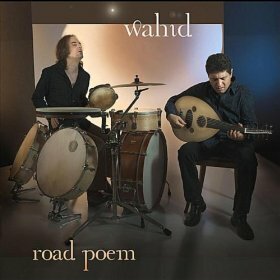 The cover shows an oud player and a guy behind an apparently random pile of drums, and that didn’t look very promising to me. I was wrong. Dimitris Mahlis is a wonderful oud player who comes from the Turkish maqam tradition but is also deeply influenced by the music of the Orthodox Church; Chris Wabich coaxes a universe of sounds from his unusual percussion setup, and together the duo creates music that is by turns bittersweet, contemplative, and intense. This is a very special album and should find a place in all world music collections. 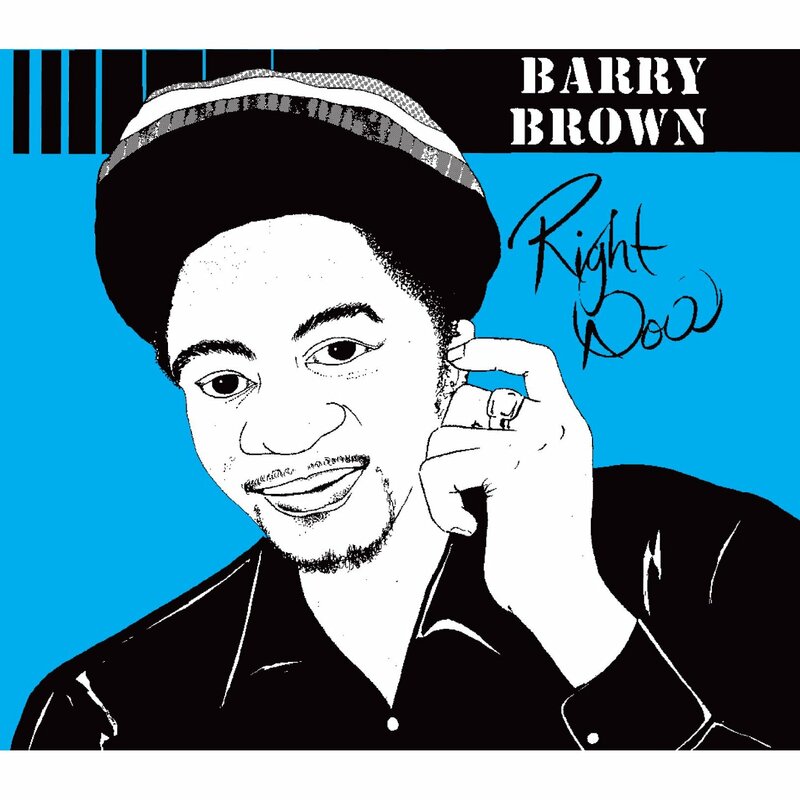 Despite his significant success during the early days of dancehall reggae, Barry Brown is no longer exactly a household name except among serious reggae fans. But this reissue of his landmark 1984 LP is a particularly welcome development mainly because of the bonus material it offers, which includes dub versions and a single by Triston Palma to which Brown’s “Jukes and Watch” served as the B side. The rhythms, provided by the We the People Band and the mighty Roots Radics, are consistently fantastic. This album is a treasure of the early dancehall period.